The name was submitted by fourth-grader McKenna Roberts, and won out in a public vote over the 30+ entries. 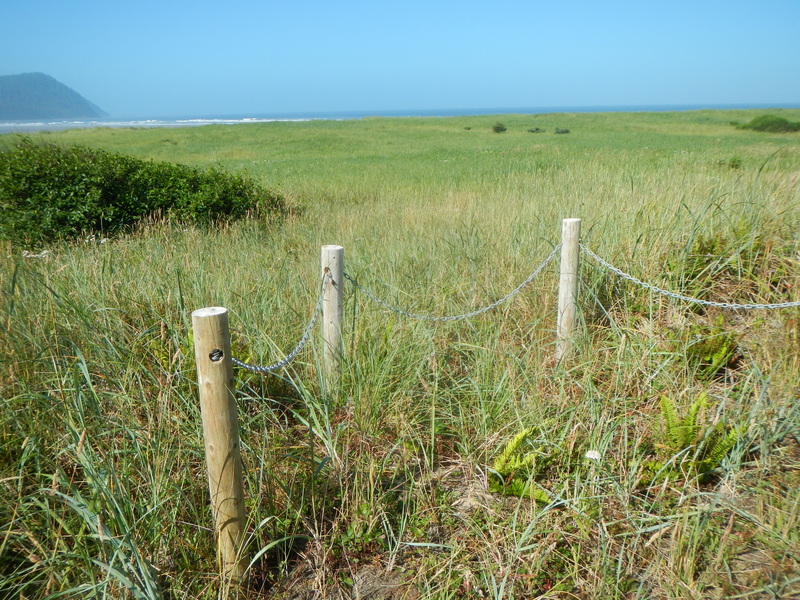 OPRD, Gearhart Elementary, and the City of Gearhart invite you to help select a name for the new beach trail at Gearhart Ocean State Recreation Area! OPRD went to Gearhart Elementary and presented exciting information about the Esturary, the ocean, and the dunes that are right down the street from their classrooms. Students in the 2nd, 3rd, 4th, and 5th grades rose to our challenge, submitting over 30 potential names for this new trail. We ranked the submissions on local, natural, and geographic resources plus that special “Wow!” factor. The students also went out to the beach itself with OPRD Coastal Visitor Experience Coordinator Brian Fowler. 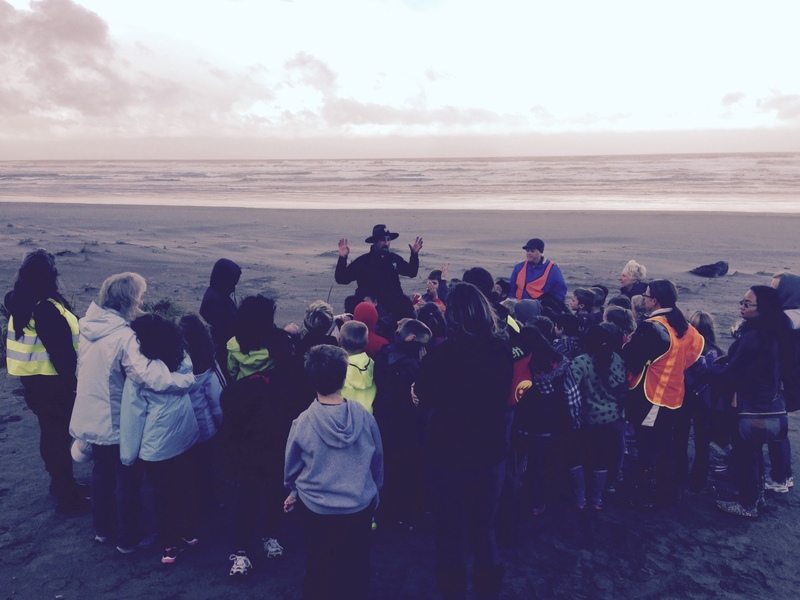 They learned more about the history of the area, the power of the ocean, and the creatures that use the beach right here in Gearhart. 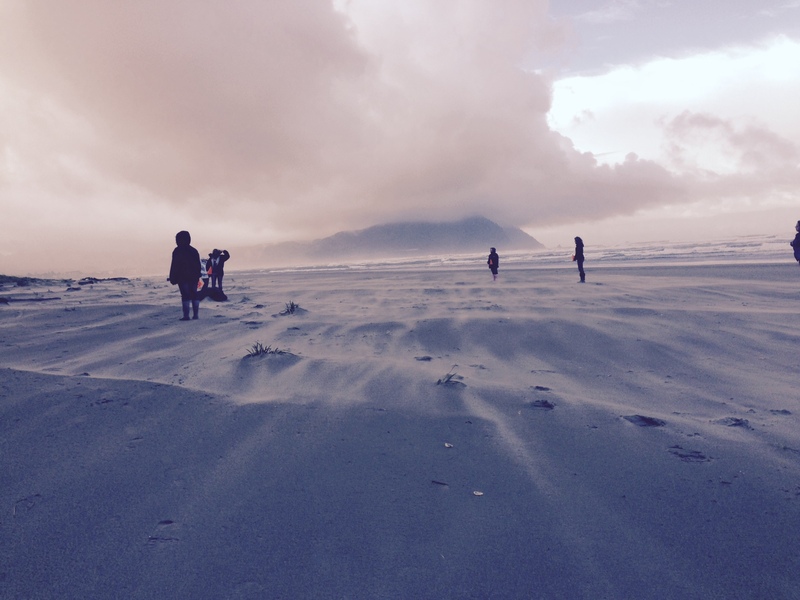 Brian Fowler and local students investigate the beach! Where is the Trail Located? 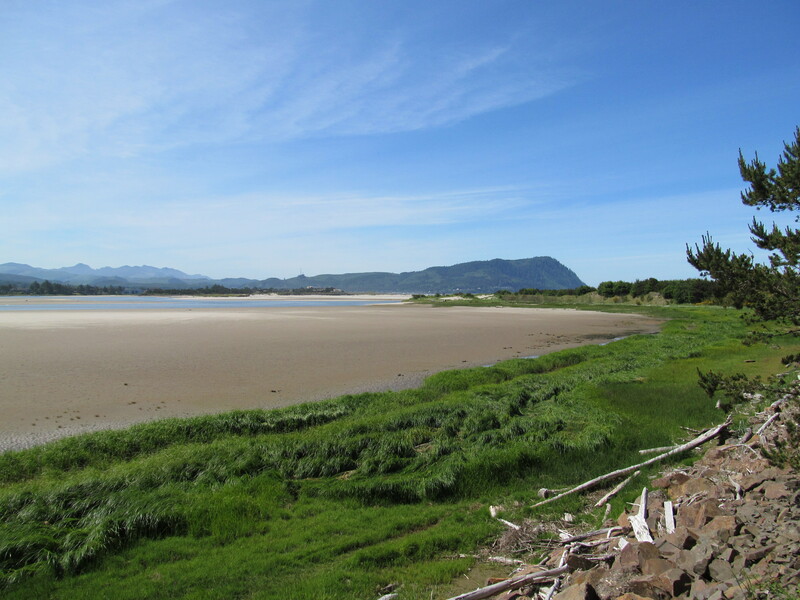 In the City of Gearhart, leading from Little Beach at Necanicum Estuary out to Gearhart Ocean State Recreation Area. 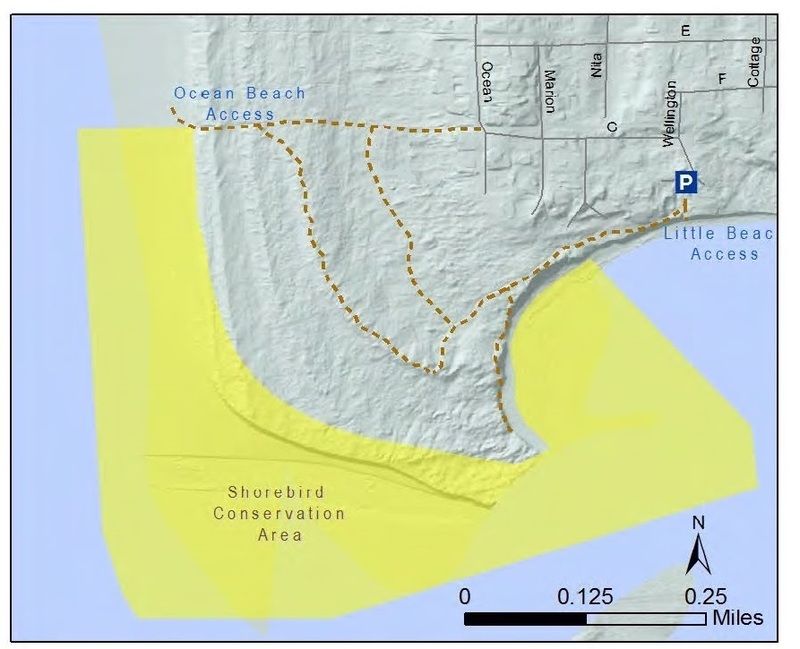 The new trail is a loop connecting the residential access point with the Little Beach access point near Wellington. Here’s a map! New trail, ready and waiting for your feet! The new trail winds through the dunes, letting visitors to shelter from the winds, pause to take in the rugged beauty of the North Coast, and loaf on benches that offer ocean views. The trail takes visitors along the Necanicum Estuary, where they can watch shorebirds and, during the right season, people clamming. Necanicum Estuary is an Important Bird Area, and thousands of migrating shorebirds visit its sands to forage and rest on their twice yearly journeys between breeding and wintering grounds. Eagles, gulls, and herons hang out year round, and maybe Caspian terns or the threatened western snowy plover might decide to nest in the Shorebird Conservation Area adjacent to the trail! View of Necanicum Estuary from the new trail. At low tide all that sand provides great places for shorebirds to feed!